WLA recently began work on a nationally-significant project at Mitchelville Freedom Park located on Hilton Head Island. This plan will serve as a guide for future development of a park and interpretation at the Mitchelville site, which was the location of the first self-governed freedmen town in the the United States, formed in 1862 during the Civil War. 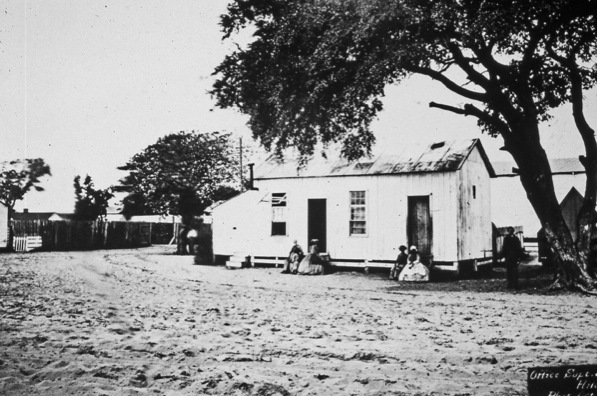 Mitchelville Freedom Park will tell the important story of the freedmen and freedwomen who established this town and lived at Hilton Head Island. The park will be part of a national network of sites associated with the Reconstruction Era and an important piece in the Gullah Geechee Heritage Corridor. WLA leads a team of nationally-renowned scholars of African American history, interpretive designers (Proun Exhibit Design Consulting), and community engagement specialists (International Coalition of Sites of Conscience). The client is Beaufort County, South Carolina and the Mitchelville Preservation Project. Image courtesy of the Cummer Museum. WLA Studio is working with the Cummer Museum in Jacksonville, Florida to restore historic gardens that were severely impacted by Hurricane Irma in 2017. The gardens are situated behind the historic tudor-style home, now a museum, on the bank of the St. Johns River. The gardens date to the early 1900s and include designs by Ossian Cole Simonds, Ellen Biddle Shipman, Thomas Meehan and Sons, and the Olmsted Brothers. Listed in the National Register of Historic Places, the gardens remained submerged under water for more than 24 hours after the hurricane. This submersion resulted in salinization of the soil, which severely impacted plant material at the site. WLA is assisting museum leadership in assessing and making recommendations for repairs to the gardens. WLA Studio is teaming with Cooper Carry, VHB, Civic Dinners, and Bleakly Advisory Group to produce a master plan for a 77 acre site recently purchased by the City of Decatur. The site is the former location of the Decatur United Methodist Children's Home, which was located on this property from 1873-2017. WLA is working with the project team to lead public input efforts to create a vision for the future of the property. With over 400 participants at the kick-off meeting for the project, the Imagine 77 project is off to a successful start. The project is currently in the idea sorting phase, and citizens are communicating would like to see preserved and added to this historic property through community workshops and charettes. WLA Studio is currently working on a city-wide survey of 1,500 properties in Greenville, SC. The survey areas include a variety of resources including mill houses, Craftsman bungalows, commercial areas, and post-War neighborhoods. The goal of the project is to assess and assign historic resource status to previously undocumented resources in the study areas. Specific attention is being given to the identification of individual historic resources, as well as eligible historic districts. 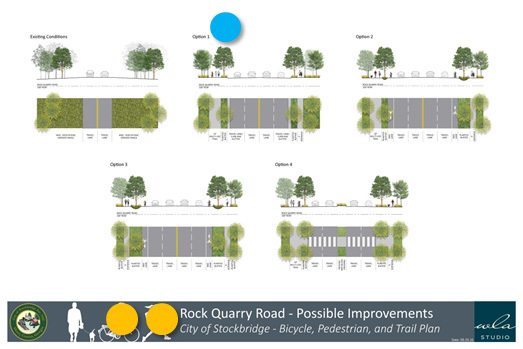 Additional information on the project can be found on the city's website. Neighborhoods included in the study include: West End, Village of West Greenville, Greater Sullivan, Nicholtown, Stone Academy, North Main, Augusta Road, Cleveland Park, Sherwood Forest, and Parkins Mill. WLA staff members will be surveying these neighborhoods thoruhout the summer. The WLA Studio team is working with historical architects from SBC+H and structural engineers from Palmer Engineering to complete four Historic Structure Reports for the National Park Service. These buildings are located at Martin Luther King, Jr. National Historic Site on the Birth Home Block. Building histories as well as structural and architectural investigations will lead to recommendations for treatment and use. The West Rutherford Avenue Local Historic District is comprised of houses built between 1930 and 1960 within the city limits of Athens, Georgia. The houses represent a variety of early-twentieth-century architectural styles including English Vernacular Revival, Colonial Revival, Craftsman, American Small House, and Ranch. 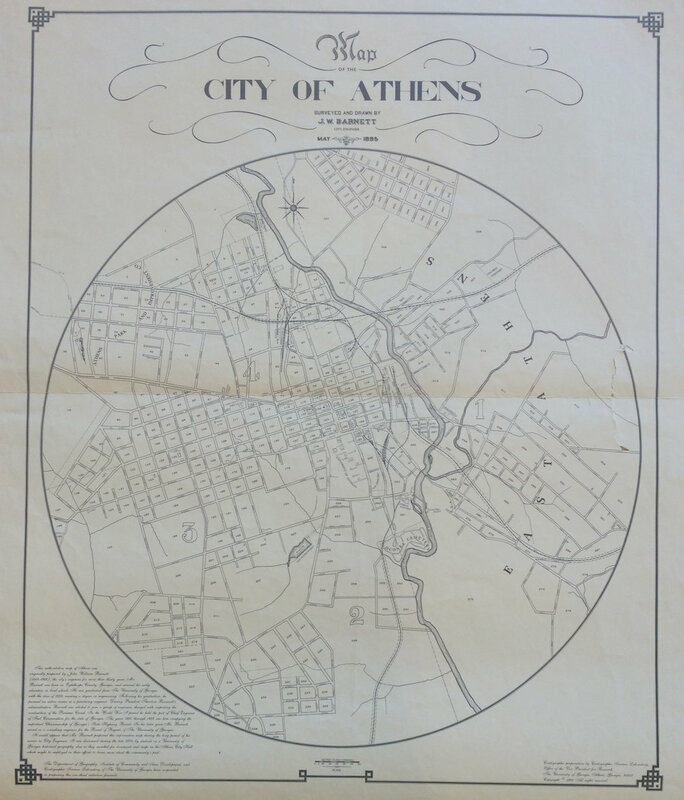 The neighborhood reflects subdivision development in Athens in the early twentieth century when local developers situated new neighborhoods along streetcar routes developed during the end of the nineteenth century. WLA Studio prepared a Historic District Designation Report and Design Guidelines for the Rutherford Avenue Local Historic District in Athens, Georgia. Working for the Athens-Clarke County Planning Department, team members Keyes Williamson and Mary Fenwick Parish performed a parcel-by-parcel inventory of the historic resources within the proposed historic district’s boundaries. The products of this inventory included physical descriptions of existing conditions of each parcel, identification of historic fabric, and explanation of the historic significance and character-defining features for each individual resource. WLA Studio also prepared recommended design guidelines that specifically addressed the preservation of historic features within the proposed districts. During the development of the report and guidelines, WLA Studio met with property owners and attended public meetings designed to inform local residents of the project. The Athens-Clarke County Historic Preservation Commission unanimously approved the designation report and the Mayor and City-County Commission unanimously approved the designation in December 2016. This image is available from the United States Library of Congress's Prints and Photographs division. ID det.4a13440. Current view of the landscape at The Oaks, home of Booker T. Washington 1899-1915. WLA staff are currently developing a Cultural Landscape Report for The Oaks at Tuskegee Institute National Historic Site. The Oaks is the historic Queen Anne residence of Dr. Booker T. Washington, the first president of Tuskegee Institute. Constructed in 1899, Dr. Washington resided there until his death in 1915. This beautiful home embodies the educational philosophy of Dr. Washington since the buildings consist of locally-sourced materials manufactured by students of the Institute as part of their vocational training. During his tenure as president of Tuskegee Institute, The Oaks received many influential visitors and patrons of the school including numerous prominent businessmen, politicians, and twice, the President of the United States. Team members Madie Fischetti and Mary Fenwick Parish spent the past few months conducting fieldwork and archival research at the site. The final report will include analysis of and treatment recommendations for the grounds surrounding The Oaks. WLA Studio is currently under contract to perform Cultural Landscapes Inventory Services at Fort Frederica National Monument on Saint Simons Island, Georgia. According to the National Park Service, a Cultural Landscapes Inventory (CLI) is a "comprehensive inventory of all culturally and historically significant landscapes within the National Park System. The CLI records each landscape's location, historical development, existing conditions, and management information." Our team has commenced recordation at this 250 acre site that includes the ruins of a colonial-era fort and town and the Bloody Marsh Unit. WLA Studio is currently working with the National Park Service (NPS) to prepare Additional Documentation for the National Register of Historic Places Nomination for the San Juan National Historic Site (SAJU) in San Juan, Puerto Rico. SAJU includes the historic Spanish fortifications of Castillo San Felipe del Morro, Castillo San Cristóbal, Fort San Juan de la Cruz (El Cañuelo), and most of the historic wall surrounding Old San Juan, Puerto Rico. The fortifications are the oldest of European design in the United States and exemplify the evolution of military architecture and engineering over five centuries. Today, SAJU contains several historic buildings and structures that were essential to the mission of Fort Brooke, a main United States Army post in the Caribbean during WWII. As a part of this project, WLA Studio provided NPS with additional information regarding historic resources the United States War Department constructed and utilized between 1939 and 1945, during preparations for and active involvement in the Second World War (WWII). The purpose of this Additional Documentation is to provide historic context to these resources, evaluate their significance, and evaluate their integrity. We are proud to announce WLA Studio (formerly The Jaeger Company.) Our team is proud to offer you continued service under our new name. Our contact information remains the same. Our home office is in Athens, Georgia with satellites in Gainesville and Atlanta. We are excited to continue past relationships with our clients as we move into our next thirty years. Please call us at 706.543.5459 or email at info@wlandstudio.com.